We do not know much about Apple’s public response to older adults. I am sure they believe themselves to be age-agnostic, despite their oxymoronic growing focus on health (half of US health spending is for individuals age 55+). Consider if you like that the median age in the company is 31. The Apple Watch leads competitors in the watch category (prior to the Series 4). Studying the Accessibilities pages (and the photos) – the focus on younger folk – suffice it to say that there are no stereotypical PERS users to be seen. Perhaps ageism (by the young, for the young) is at the core of their culture, which in our society would not be surprising. So what’s with the 65+ default? Did they believe the misleading 2015 CNN graphic about Apple's most generous buyers being old men? Translate: that would be men aged 65+. No joke, they are spending more on Apple products then other ages. How, uh, non-stereotypical of CNN’s headline writer. Guess they did not read last year’s Stanford study basing old age on the small statistical risk of dying within 1 year (answer: old for men = age 70+, 73 for women). Let’s think about what it means for a technology to have a ‘default’ based on age. Imagine if there was a maximum speedometer setting on a car based on age in which the car throttles itself back to the speed limit. After all, the dealer likely has seen the buyer’s driver’s license. We get it – Apple is cool, the buyers should be cool. Allow for the case that a Series 4 watch buyer is age 65+ AND worries about falling AND does not mind pinging the fire department AND actually noticed the default AND thought it okay to contact emergency services (aka 911) or skip through the wearer's list of emergency contacts, all of whom may be out on a Safari. But this ageist assumption that defaults to “ON” may come as a surprise to the physically active 65-year-old who just wanted to have the very latest cool-looking fitness watch. Why? Because they feel young and fit. Tell that to those young whippersnappers at Apple. Rant off. Permalink Submitted by Laurie Orlov on Tue, 09/25/2018 - 19:24. Article with a twist, enjoyed reading, fall detection have been in the R&D phase for the past 10 years, agree there is issues and contradictions related. To me it’s an obvious marketing stunt, not a mass market offering. Good some one spotted the ageism thanks for sharing! Permalink Submitted by Laurie Orlov on Wed, 09/26/2018 - 10:20. Best Article EVER. Don’t let those rants stop! What about when your are not wearing the watch? Permalink Submitted by John Brandt (not verified) on Wed, 09/26/2018 - 11:17. My first thought when I heard about this new feature was what happens when your Apple Watch is on the charger and not on your wrist. Back in my EMT days 40+ years ago, our calls for falls and broken hips were nearly always in the early morning when people were heading to, or in the bathroom. Anyone with an Apple Watch knows that they require daily charging - mine sits on the charger all night - and if I get up in the middle of the night, I'm not wearing it. Permalink Submitted by Laurie Orlov on Thu, 09/27/2018 - 07:48. My husband uses the ECG feature. It has been very helpful. Permalink Submitted by Corey Salka (not verified) on Tue, 10/02/2018 - 20:37. Yes, plenty of legendary Apple design acumen is missing here, and their “senior” focused products and strategies are somewhat laughable. That being the case, how many years do you suppose it might be before our doctors are prescribing Apple (or Samsung) devices? Two years, probably not. Five years? Wouldn't surprise me a bit… once the early adopter pain has been solved. It's way too early to count out consumer, and if I were a dedicated PERS fall detection company I'd be more than a little concerned. The writings on the wall: dedicated consumer devices have begun to outpace dedicated medical devices. Yes it will be a painful transition for early adaptors, but who among us thinks that it won't happen? Permalink Submitted by Ron Goldberg (not verified) on Wed, 10/03/2018 - 20:03. It's not just Apple, it's most of the tech industry and the ecosystem that feeds it. Brilliant and callow aren't mutually exclusive. We've all seen worse "solutions" than this one, but it's disheartening to see the innovation leader stoop instead of inspire. Previous comments re fall times and whether the device is charged and worn are well taken. Permalink Submitted by michelle figg (not verified) on Fri, 10/05/2018 - 10:30. The Apple Watch still appears to lack the full-scale safety opportunities that a traditional, around-the-neck medical alarm can offer. One major issue is that the watch would need to be taken off in order to be charged and this leaves a safety issue because the majority would charge it during the night and then run the risk of a potential fall risk during the night. The Apple Watch and 3G pendants all need to be recharged on a daily basis but the very basic around-the-neck medical alarm battery will last up to 5 years before needing to be replaced. Users will be notified when the battery is showing up as low and the customer will be contacted to have it replaced free of charge. Having been researching, writing and working in the PERS industry and writing about senior issues like fall prevention I have reservations about some of the products appearing to emerge into a market that really isn't looking to be tech-savy but are just looking for safety and peace of mind in order to maintain independence in their home as they age with dignity. Upon researching the market there are numerous companies and products to select from at different price and technology ranges but not all seem to offer such a comprehensive safety and reaction solution as the very basic medical alarm. 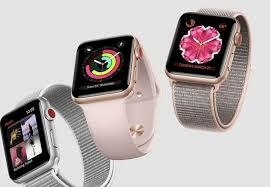 With this option you are able to not only have fall safety covered but these very affordable devices also help with a multitude of other possible medical emergency issues that the Apple watch and other high-tech PERS device companies don't.